Every wedding dress that comes into our store has a story. 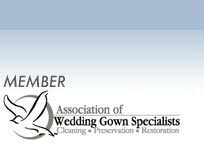 Read about the near disasters and happy endings, and enter your story or fond memory of your special dress in our monthly contest. Protect your investment in your wardrobe. 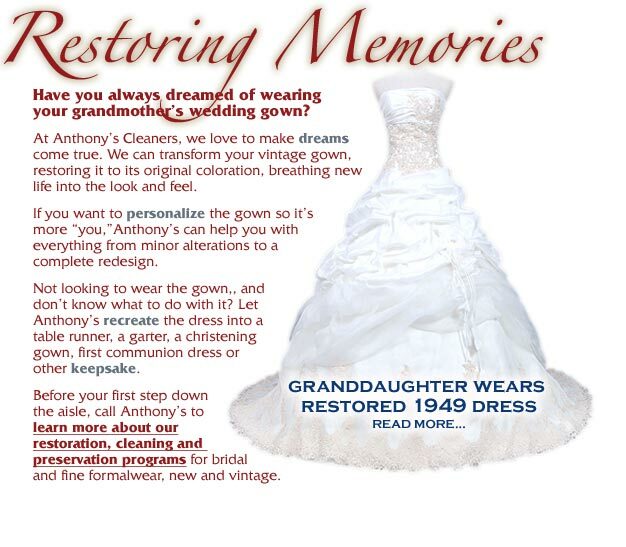 Kim Smith, owner of Anthony’s Cleaners, offers these helpful tips to preserve your garments for years to come. Save your hard-earned money! Check out our current deals and discounts, and join Anthony’s Rewards Program next time you’re in the store.